Buying a Shore Sale vs Foreclosure | Find out what the difference is. The Difference Between Purchasing Short Sale & Foreclosure? Short sales & foreclosures can offer great opportunities to home buyers but are very different. What’s the Difference Between Purchasing Short Sale and a Foreclosure? Short sales and foreclosures are an unfortunate situation for the current homeowners, however, they can offer great opportunities to home buyers, i.e. they can be great ways to get an excellent deal on a house. Thinking about purchasing a home that is in a short sale or a foreclosure? A short sale is when a homeowner sells their home for less than what they still owe on it. Purchasing a short sale can take more time than the average home purchase, but the deal may be well worth the time it takes. When homeowners struggle to make their mortgage payments their lender may approve of the seller’s plan for a short sale – selling for less than you owe. It may seem odd that a lender would agree to such a thing but they might be eager to avoid the expenses of a foreclosure. When a homeowner is unable to make their monthly mortgage payments they may default on their mortgage and go into foreclosure. If you find a homeowner that is already delinquent in paying their mortgage but has not yet started the foreclosure process you might be able to negotiate a great price for the pre-foreclosure with the homeowner. You will be able to tour the house and negotiate a price at or above what is owed on the mortgage. If you are trying to purchase a foreclosed home then you are purchasing it from the lender not the homeowner. Again, you are buying the home from the mortgage lender. The homeowner is no longer involved but might still be on the premises and therefore you may not have the opportunity to tour the property. The lender may sell the house an auction or in a regular real estate sale. sometimes your willingness to purchase a home sight-unseen. A foreclosure real estate sale is a bank-owned property (also known as REO or real estate owned properties). If the lender is motivated to sell you might get an amazing deal. Thinking about purchasing a short sale or foreclosure? Autumn in Connecticut is glorious! But so fleeting. 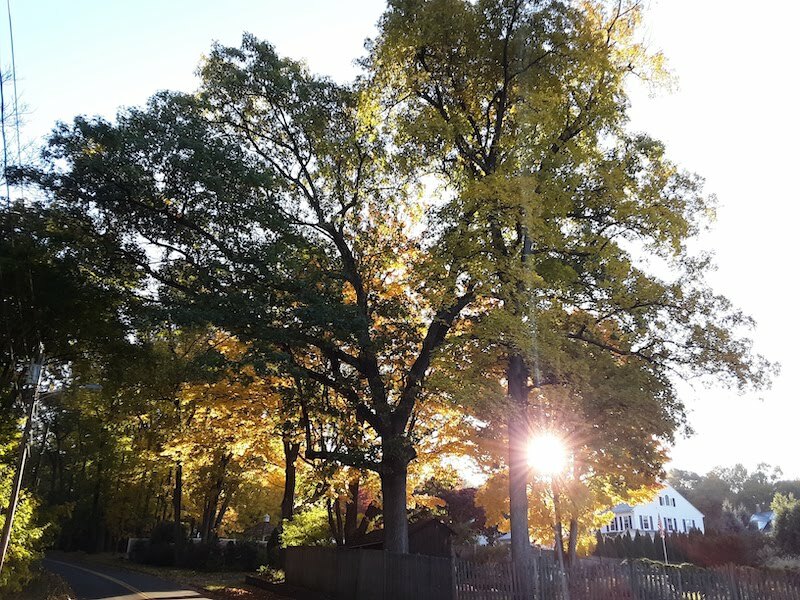 Here at Burke Mortgage we try to be mindful of our time and appreciate the beauty of autumn in Connecticut. We took this photo on a sunny day to capture the beauty of where we live and work.